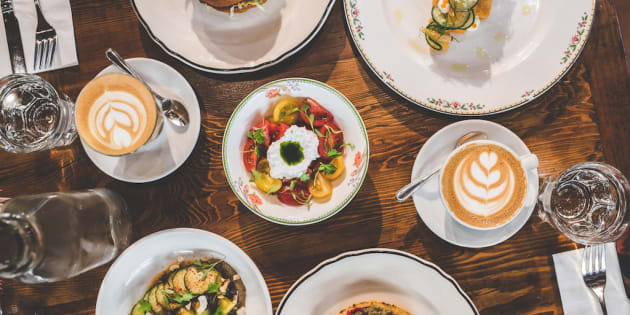 Each year, EnRoute magazine comes out with a list of the best possible new restaurants in Canada — and each year, we can't help but swoon over how amazing they look, despite only getting to actually eat in maybe two of them. The magazine's selections for the best restaurants in Canada for 2017 are no exception. Toronto leads the pack, with seven nominees, but Montreal and Vancouver are no slouches, with five and four spots picked, respectively. But if you want to get territorial, it's Alberta that is getting people excited, with seven restaurants listed across the province, including two from smaller towns Beaumont and Airdrie. Take a look at the 30 restaurants ranked highest in the country (in alphabetical order), and drool right along with us. CORRECTION: An earlier version of this story indicated the list was for "Canada's Best Restaurants." It is for Canada's best new restaurants.